Join Erika and Lynne as we play all kinds of Verity! games LIVE on stage at Chicago TARDIS! More fun and games? Yes please! Join Erika (and her brand new bell) as she makes Liz and Tansy defend many things–some easy, some atrociously difficult! How do you think the defences went? And what tactics would you use? (And do you have anything you’d like to hear defended in the future?) Let us know in the comments! As promised, we’re starting off the year’s Extras with some fun! 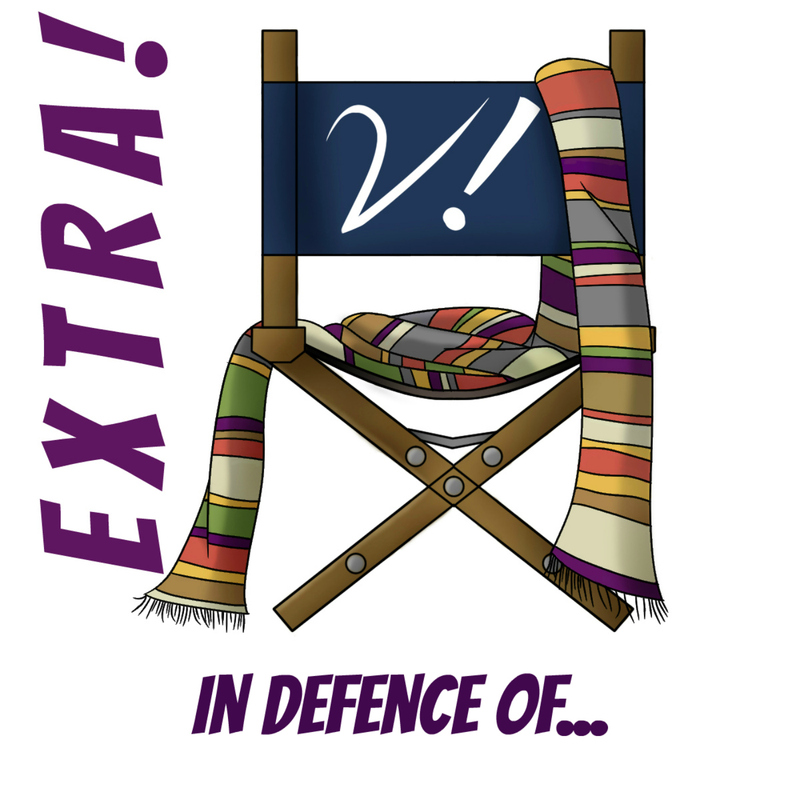 Join Deb, Erika, Katrina, and Tansy for another edition of Verity!’s most popular gameshow–“In Defense Of”! We do our best at defending the indefensible within Doctor Who…with varying results. It’s certainly a hoot though! It’s time for another silly Extra! Join Deb, Erika, Katrina, and Tansy as we defend the very-nearly-indefensible. We had some excellent topics left over from our live show at Gallifrey One, so we put them to good use! Do you have some topics you’d like us to defend on a future In Defence Of? Let us know in the comments! In Defense Of (and) Gally! 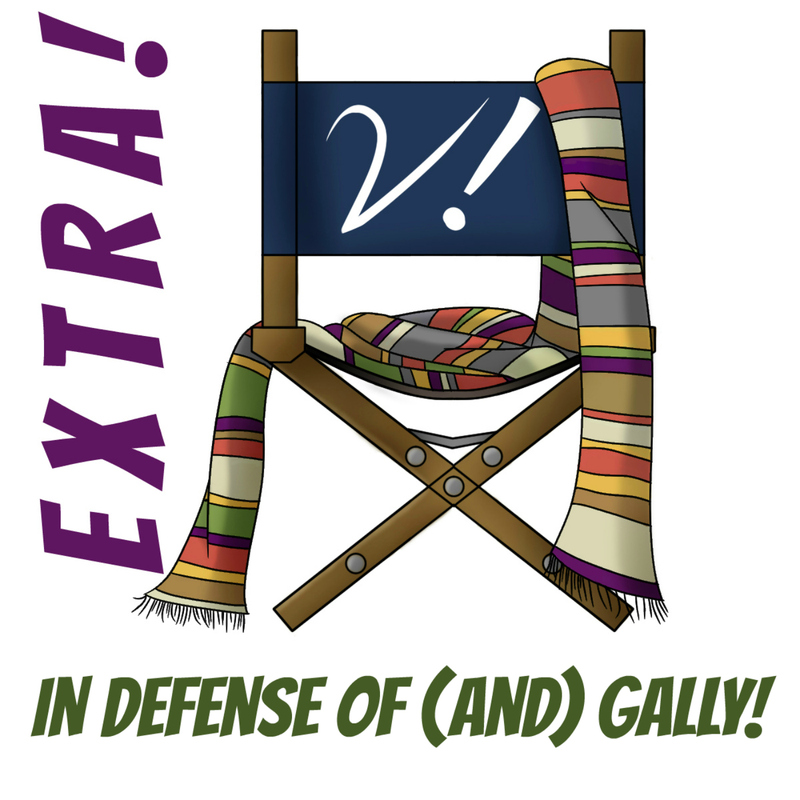 Gallifrey One is right around the corner, and we can’t wait for our “In Defense Of” panel! Join Deb, Erika, Lynne, and Tansy as we get our In Defense Of fix before the con so Lynne and Tansy can participate (since they [sadly] won’t be at Gally). Deb comes up with a doozy for defense. Lynne breaks Deb. And there are many, many laughs. And Deb and Erika talk a bit about what they’re looking forward to at Gally! Extra! 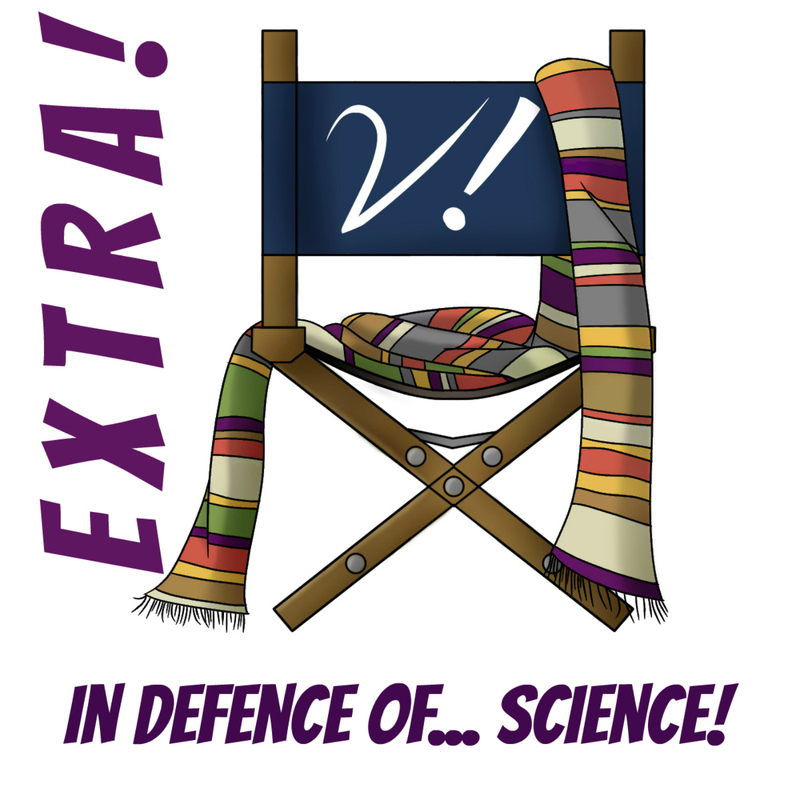 – In Defence Of… Science! If you thought our previous installments of In Defense Of went off the rails, you ain’t heard nothin’ yet! Join Deb Erika, Katrina, and Liz as we do our best(?) to defend some of the dodgy science (and non-science) of Doctor Who. It’s about as nonsensical as you might expect. And be sure to enter to win a copy of The Scientific Secrets of Doctor Who. Remember, if you’re already a Verity! patron, you’re automatically entered! If not, leave a comment over on the giveaway post, or become a patron before the contest ends on June 24th. As for the comments here, please take a crack at defending all that “science”–or just laugh at our pitiable attempts. That’s right! We’re back with another edition of In Defence Of! (And yes, now that I live in Canada, I’ve started spelling it with a “c”. Sometimes.) Join Deb, Erika, Lynne, and Tansy as we try (oh golly do we try) to defend the topics and concepts our dear sweet CRUEL listeners have suggested. “Dimensions in Time”? The eyebrow agenda? The Dalek episodes with the pig people? And even more! This wasn’t easy, but it sure as heck was fun!